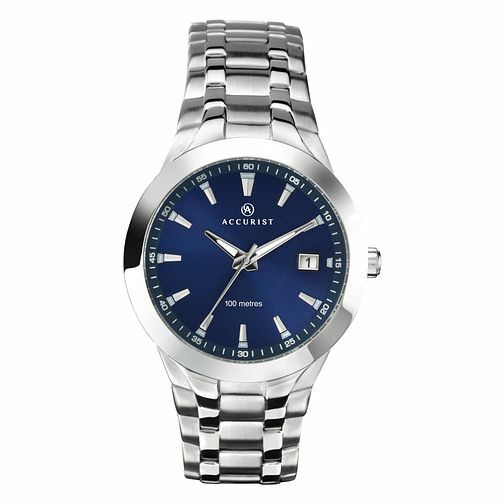 A stylish Accurist watch for men with a round blue dial. Accurist Men's Round Blue Dial Watch is rated 4.4 out of 5 by 8. Rated 5 out of 5 by Anonymous from Smart looking watch This watch looks very smart and was an excellent price. My partner hasn’t worn a watch before so this was a lovely first watch.